Generally speaking, guardianships are for minors whose parents, for whatever reason, are no longer caring for their children or when a parent may need to establish a guardianship for a disabled child. Conservatorships are created for adults who have become incapacitated, or a person who has been an incapacitated minor and has now become an adult. 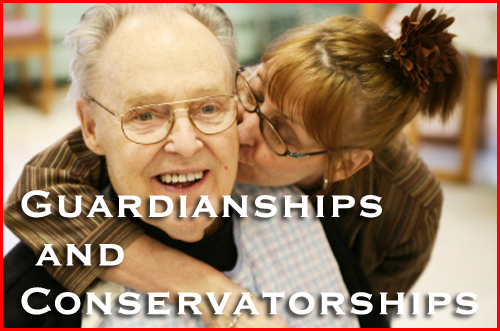 Both Guardianships and Conservatorships are established by court order. A fiduciary relationship is created between the Guardian or Conservator and the minor or Conservatee. There are strict accounting requirements if the minor or the conservatee has an estate which is part of the guardianship or conservatorship. The process of obtaining and maintaining the guardianship or conservatorship can be daunting, but with proper guidance and representation, a Guardianship or Conservatorship can be the best way to assist family members through their time of need. I have represented guardians and conservators both of the person and estate for many years. I am often appointed by the Orange County Superior Court to represent a minor who is under a guardianship, either as the minor’s attorney or as guardian ad litem for that person. I am also appointed to represent conservatees as either attorney or guardian ad litem. I am very much aware of the troubling situations the families of these people are going through.